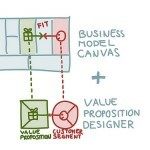 In my last post I described a new business tool, the Value Proposition Designer. 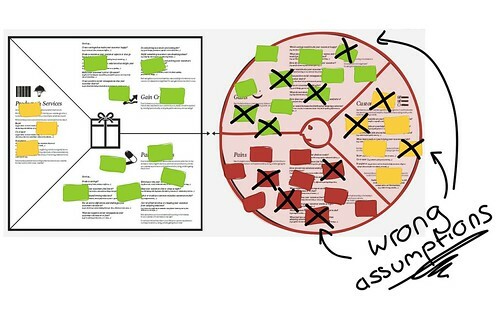 In this post I outline how you can use the tool to not only design Value Propositions, but also to test them. You’ll learn how you can supercharge the already powerful Lean Startup and Customer Development principles to design, test, and build stuff that customers really want. 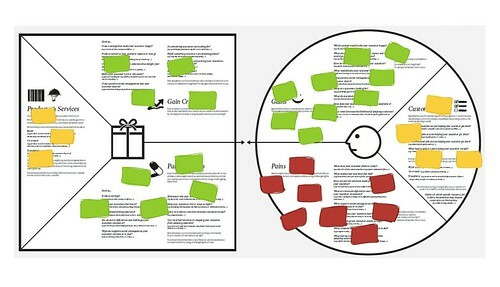 The Value Proposition Designer (VP Designer) allows you to zoom into the details of your Value Proposition and the Customer Segments you target. 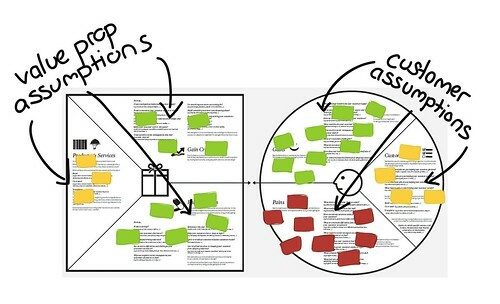 You can use it as a poster (cf image below) to design better Value Propositions with sticky notes. However, to make sure your customers really want what you design, you’ll need to test all the assumptions you make with the VP Designer. 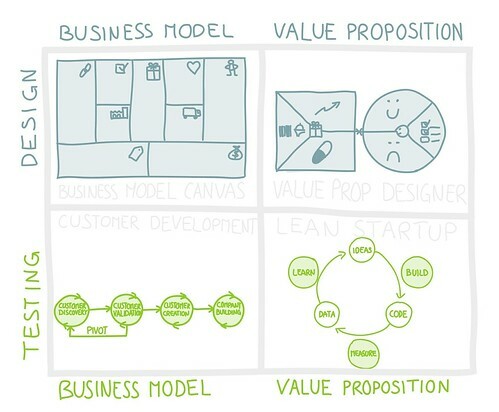 We can achieve the same for Value Propositions by combining the VP Designer with the Lean Startup process. This will help us more systematically work towards achieving what the startup movement calls a product-market fit or problem solution fit. In other words, building/offering stuff that customers really want. 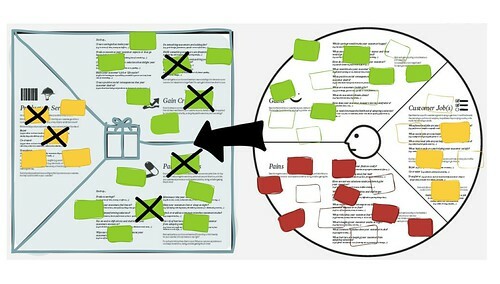 The VP designer can add two crucial things to this process that are currently missing. Adding them to the mix will bring us to a whole new level. 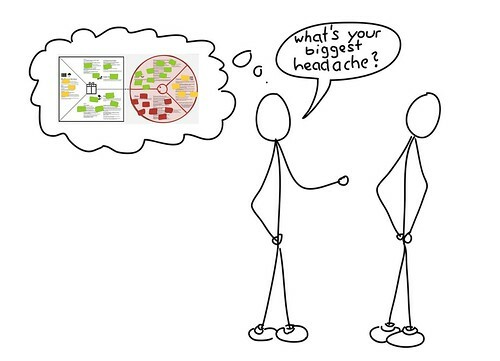 Firstly, the VP Designer gives you a simple and practical way to rapidly sketch out WHAT you are building and how you believe this will create customer value/benefits, as well as WHY your are building it: which customer jobs, pains, and gains you intend to address. 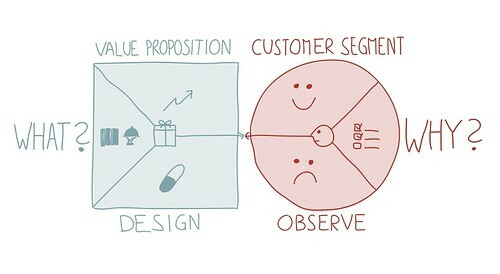 Secondly, the VP Designer helps you distinguish between Product/VP and Customer assumptions. If you “just” build an MVP to measure and learn, you won’t know if a negative outcome of your experiment is related to your MVP or to a lack of customer interest. Let me walk you through a rough step by step process of how to use the VP designer for testing. In reality, of course, these steps will be less sequential and much more messy. You’ll also want to adapt this process to your needs and circumstances. 1. Fill Out Your VP Designer. Voilà, you now have a great list of Produc/VP and Customer assumptions. 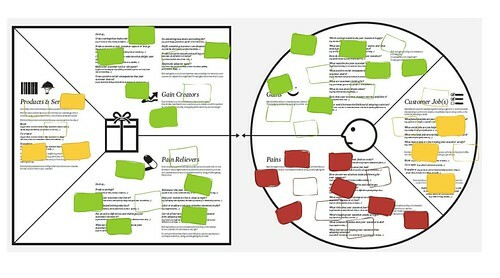 You described who you think customers are and what you think would create value for them. It’s your best guess – but still just your (smart) opinion. Now it’s time to “get out of the building” – to use Steve Blank’s terms – in order to verify your customer assumptions. Talk to as many (potential) customers as possible to verify if they really are trying to get those JOBS done that you described in the VP Designer. Find out if those JOBS are crucial to them or unimportant? Find out if the really have those PAINS you believed they have. Are those PAINS severe or minor? Verify if they really value the GAINS you believed they value. Now that you better know who your customers are you should revisit the Customer Profile in your VP Designer. Ideally you now understand the significance of your customers’ JOBS, the severity of their PAINS and the intensity of their desired GAINS. This will give you a readjusted VP Designer. 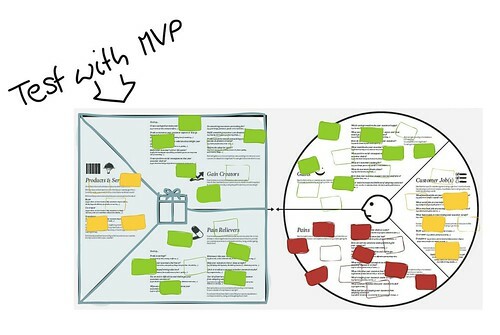 The VP Designer will serve as your map to permanently track assumptions and tests, while you’re pivoting through the Lean Startup process. 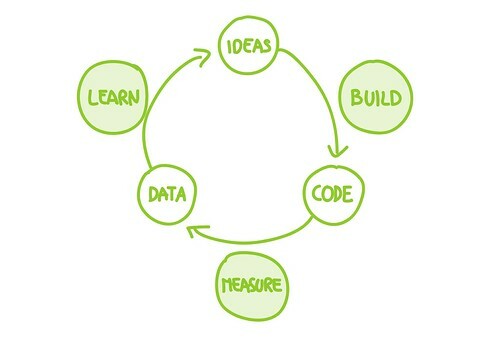 The moment this circle ends is when you’ve achieved a fit between your Value Proposition and what your Customers expect. This is what the startup movement calls product-market fit or problem-solution fit. It’s when you build stuff that customers really want! Don’t hesitate to give me your feedback, since this process is just a first suggestion of how to use the Value Proposition Designer.